St Poucain is a nice little town well worth a visit. Possibly our favourite Aire in France. 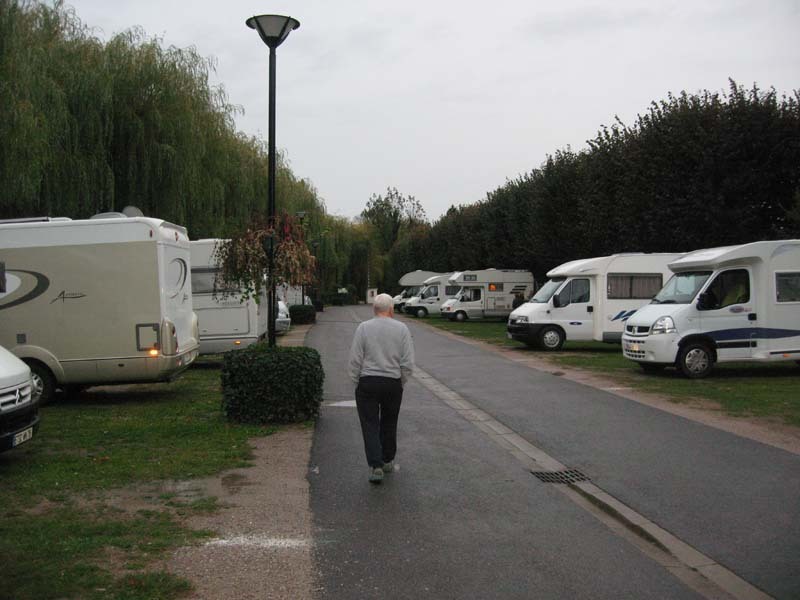 The aire is situated behind the sports complex/tennis courts and municipal campsite alongside the River Sioule, all pitches on hard, well drained grass. About ten minutes walk back to the town. A very pleasant location suitable for longer stays. Electricity posts dotted along the aire €2 for 4hrs. Cost per 24hrs: St Pourcain and its saturday market.